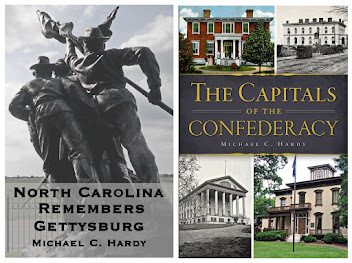 Still not a lot of time for blogging, reading or writing - one week to go on the Mitchell County project, and then I am off to Gettysburg. I did spend some enjoyable time last evening working on the final text for the Blalock Civil War Trail marker here in Avery County, and on a flag that has recently come to light attributed to Brig. Gen. Lawrence Branch. Lots of fun, but alas, I need to go and write a caption about S. G. Brinkley, who, in the late 1800s, had the world’s longest beard. Folks - I’m off to speak at the Rufus Barringer Civil War Round Table this evening. Be back tomorrow. I’m also in the crunch time to get this Mitchell County pictorial history finished. I need to be done by July 1, which is when I leave for Gettysburg. So, post will be a little sparse until I get back from the Burg. Also, if you emailed me lately, I will get to it as soon as I can. By the way, this is post #200! This came across my desk yesterday and I though you might enjoy. The N.C. Museum of History in Raleigh announces the acquisition of a Confederate battle flag associated with a major turning point of the Civil War — the death of Lt. Gen. Thomas J. "Stonewall" Jackson. The flag was carried by the 18th Regiment North Carolina Troops, which was responsible for the accidental shooting of the Confederate general at Chancellorsville , Va. , on May 2, 1863. Severely injured by gunfire, Jackson died a week later of pneumonia. That fateful May 2 evening, the 18th North Carolina was in a line of battle ready to attack retreating Union troops. Jackson and his staff rode out in front of the Confederate line on reconnaissance. When they returned unannounced, firing broke out along the Southern battle line. In the confusion, soldiers from the 18th North Carolina fired into the dark woods at what they believed was Federal cavalry, mortally wounding Jackson . The following day, the 18th North Carolina ’s battle flag was captured by Federal soldiers when the regiment’s color-bearer, Cpl. Owen J. Eakins of New Hanover County , was killed during the Battle of Chancellorsville. The existence of the flag was unknown to the N.C. Museum of History until 1992, when the museum received a letter from its owner. The postwar history of the flag is unclear, but it likely had several owners before it was acquired by Dr. Tom Walsh in the early 1970s. In 1993 the New Jersey college professor loaned the historic banner to the N.C. Museum of History, where it was conserved and appeared in a previous exhibit. Recently, Walsh offered to donate a partial value of the flag to the museum, and the museum purchased the remaining value this May. It is currently on view in A Call to Arms: North Carolina Military History Gallery. 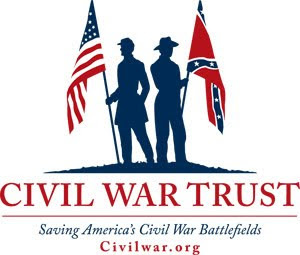 "We are deeply grateful to Dr. Walsh for his generous contribution and for making the purchase of the flag much more affordable to the museum," emphasized Ken Howard, director of the Division of State History Museums. "The flag is now a permanent part of our collection, which ensures that future generations will see it." In addition to its battle significance, the 18th North Carolina flag has two unusual features. In late 1862, the five regiments in the North Carolina Branch-Lane Brigade received new battle flags. Unlike other flags issued to North Carolina regiments, these flags not only had white battle honors, instead of the usual blue or black, but the honors were painted on both sides of the flag. "The acquisition of this important Civil War artifact is one of the greatest highlights of my 30-year career with the museum," states Tom Belton, curator of military history. The flag acquisition is in anticipation of the Civil War Sesquicentennial Celebration, which will take place from 2011 to 2015. The celebration, sponsored by the Office of Archives and History, N.C. Department of Cultural Resources, will commemorate the war’s 150th anniversary and feature events and activities. Visit the N.C. Museum of History to see this newly acquired artifact linked to a brilliant military strategist, whose death some scholars say turned the tide of the Civil War. Thanks to the generosity of the flag’s previous owner, this important historic banner will remain in good hands. Said Walsh, "I’m glad the flag is back in North Carolina , where it belongs." For more information about the museum, call 919-807-7900 or visit ncmuseumofhistory.org. I found these Tar Heel soldiers buried in the Marietta Cemetery during my recent trip to Georgia. 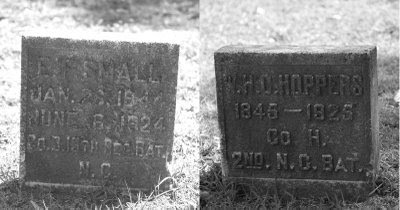 These Tar Heels died at the old soldiers home in Marietta. Yet again, I've had a busy weekend. I spent Friday morning working at the Avery County History Museum. Friday afternoon I interviewed a 93-year-old man and worked some on my Mitchell County project. Saturday, I loaded up the truck and went to Plumtree, here in Avery County, for the annual Avery County Heritage Festival. We sent up a camp and did a little Civil War interpretive work. I also sold a slew of books and picked up some new information on the 58th NCT. Sunday morning, I got up early and headed over to the reenactment in Jonesville, Virginia. I sold a few more books, participated in the reenactment, and most importantly, might have discovered the final resting place of a dozen plus members of the 58th NCT who died while stationed at Cumberland Gap in September and October 1862. I am going to a wedding in Cumberland Gap in August, so I'll report more on this when I return. It was an extremely hot weekend. Saturday was in the upper 80s. On Sunday, when I made it back to my car, the temp was 99. I came home acouple of pounds lighter! 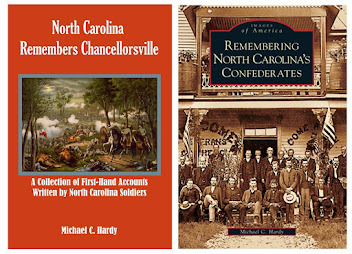 Today, I read that the North Carolina Historical Publications Office is getting ready to release the next volume of the North Carolina Troop book series (Volume 16). This volume is to contain a roster of Thomas’s Legion. While not yet listed on the web page, you can check out the other volumes here. 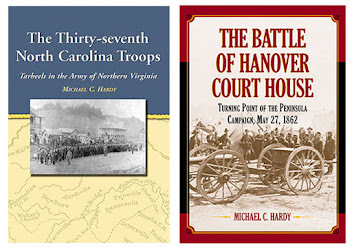 I’ve also seen that McFarland is releasing a history of the 25th North Carolina Troops, written by Carroll C. Jones. 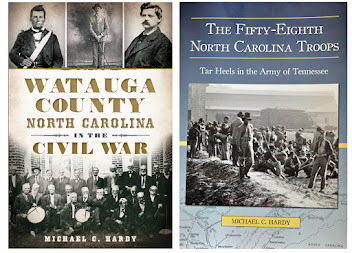 I’m not sure why there is a picture depicting the 26th North Carolina on the front of a book about the 25th North Carolina. Check it out here. 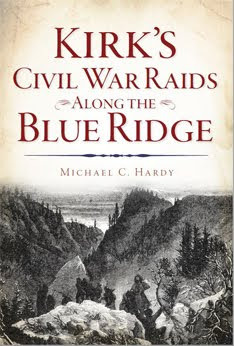 This historical account covers the 25th Regiment North Carolina Infantry Troops during the Civil War. Farmers and their sons left the mountains to enlist with the regiment organized in Asheville in August 1861 to defend their home territory. 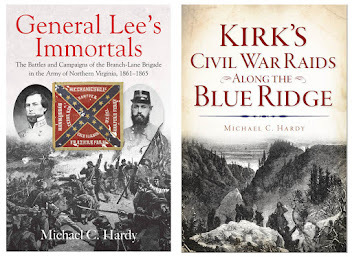 The book chronicles the unit’s defensive tactics in the Carolina coastal regions and battlefield actions at Seven Days, Antietam, Fredericksburg, Plymouth and Petersburg, in addition to casualty and desertion records. More than 125 photos, illustrations, and maps are featured, as well as a complete regimental roster. I am also very much looking forward to Paul Escott’s North Carolinians in the Era of Civil War and Reconstruction, soon to be released by UNC Press. Just a few thoughts! Do you think we will ever run out of material to write about? 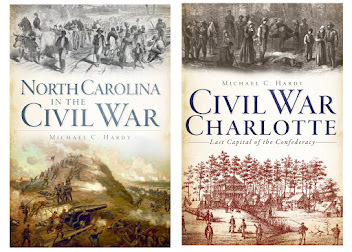 Folks - I’ll be in Morganton this evening, speaking and signing books at 7:00 pm at the community center.